Trine University (TrineOnline) | Schools-Colleges & Universities | Educational Services | Education | Colleges - Greater Fort Wayne Inc.
TrineOnline empowers you to earn your degree at your pace, in a convenient online setting. With associate, bachelor and master degree programs designed to meet the needs of today’s employers, you will make yourself more marketable and fulfill that dream you’ve always had – to finally complete your college degree. With TrineOnline, we meet you where you are with degree programs built on the academic power of a university with over 135 years of history and the fastest-growing private university in Indiana. •	Convenient. Our entirely online format allows you to complete your degree anytime, anywhere. •	Flexible. Plan your study schedule around your busy life. •	Ambitious. Some programs allow you to earn graduate credit while completing your undergraduate degree. •	Affordable. We accept more of the credits you’ve already earned, providing additional savings. •	Personal. You’ll have your own academic advisor and receive personal attention from dedicated faculty. •	Supportive. We provide unlimited access to academic tutors, available any time day or night, as well as access to the university’s Career Services, even after you graduate. •	Practical. Trine’s degree programs give you the skills you need to advance in your career. •	Established. 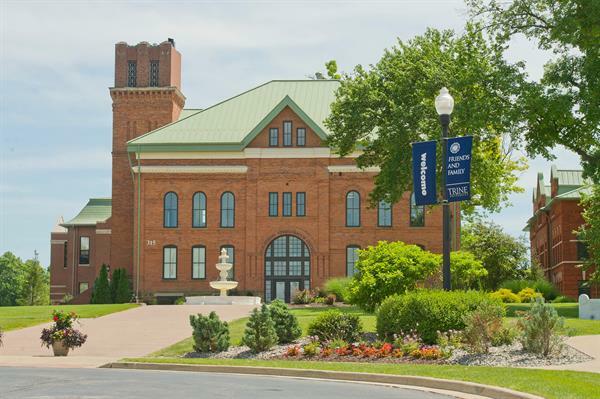 Trine University is an accredited, non-profit university with more than 135 years of history. Take I-69 to Exit 316. Head West on Dupont Rd. to Dupont Hospital Campus. 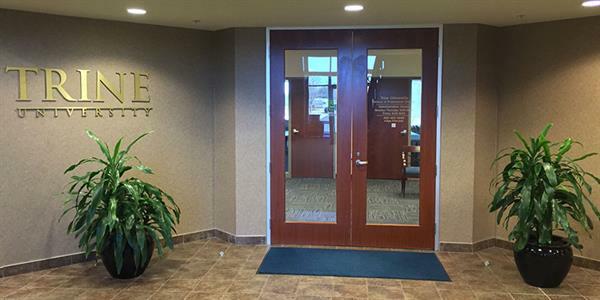 Turn into Campus and drive to the rear of the hospital where you'll see a business park area. Trine is in building 9910.